You might remember I mentioned in a recent post about how Altitude had taken me 13 months to complete, and I was hoping to have my next book out before Christmas. Well, it’s been a busy summer for me, and I’m on track to get the next book out by October! 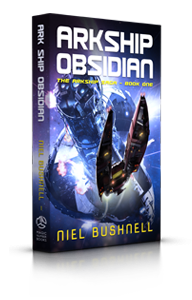 It’s called Arkship Obsidian, and it’s the first book in The Arkship Saga. I’ve got a very loose plan for the first six novels, but lots of nebulous ideas for other books set in the same universe, so I can see this keeping me busy for some time. The books are set in a distant future where Earth has been destroyed, the entire solar system turned to dust by a cataclysmic event known as the Fracture. Now, the last survivors of humanity live on vast arkships drifting through the Cluster, doing what they can to survive in a hostile ever-changing environment. When the arkship Obsidian is attacked, Wynn awakes in an escape pod fleeing from a huge space battle, unable to remember who he is. 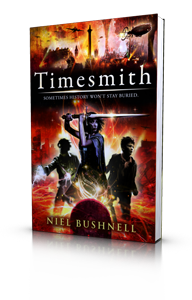 Hunted by a killer robot, the forces of a rival arkship, and the Church of the Infinite, Wynn must survive long enough to unlock his lost memories, discover who is behind the attack and take his revenge. I’m also writing a prologue story, which I hope will be available soon. Come back soon for more news on The Arkship Saga. 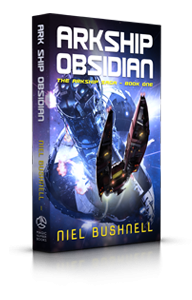 You can pre-order Arkship Obsidian now!